LOS ANGELES, United States, Mar 4 – James Harden continues to be the Houston Rockets’ driving force, delivering his 24th 40-point performance on Sunday while the Boston Celtics fell back into their bad habits. Harden finished with 42 points, including six three-pointers, as the Rockets overcame a Celtics rally for a 115-104 victory in front of 18,600 at the Boston Garden. The Rockets watched their 28-point lead dwindle to single digits. But they did what they usually do by turning to Harden — the main offensive weapon behind their quest for a favorable seed in the Western Conference playoffs. “It feels really, really good to kind of have a full roster and catch a rhythm,” Harden said. “This is a perfect time for it. The Rockets have now won five straight, their longest winning streak since starting a six game win streak in late December. Houston are in fifth place in the Western Conference standings, a game behind the Portland Trail Blazers and Oklahoma City Thunder. With 1:44 left in the fourth and Houston leading 112-104, Harden fouled out of the contest — but by then the damage had been done. Harden shot 14-of-31 from the floor and went eight-of-nine from the free throw line. Eric Gordon added 32 points and had eight three-pointers for the Rockets, who have been trying to maintain consistency despite a constant roster flux because of injuries. “We’re catching a rhythm,” said Harden. “Throughout the course of the year, we’ve been having a lot of injuries, a lot of ups and downs, but we’re finally catching a rhythm on both ends of the floor, and it feels great. The Celtics fell behind by 28 points before going on a 17-6 run at the beginning of the fourth quarter to cut the deficit to 106-96. Kyrie Irving tallied 24 points, nine rebounds and six assists and Al Horford finished with 19 points for the Celtics, who have lost five of their last six games. The struggling Celtics were coming off their first win since the all-star game break on Friday over the Washington Wizards. But any positive feeling was blunted by Sunday’s loss to Houston as the Celtics fell back into their old ways, shooting just 29 percent (eight-of-28) from three-point range. It doesn’t get much easier for the Celtics, who play their next four games on the road, opening against the two-time defending champion Golden State Warriors on Tuesday. The one piece of good news is they travel to Staples Center to face the Los Angeles Lakers, who despite having LeBron James are struggling even more than Boston. The Rockets next face the Toronto Raptors, who fell in overtime to the Detroit Pistons. Blake Griffin scored 27 points and the Pistons scored the final 10 points in overtime to beat the Raptors 112-107. Griffin also had seven rebounds and Luke Kennard and Reggie Jackson had 19 points apiece for the Pistons, who have won nine of their last 11 to reach the .500 mark. Kyle Lowry finished with 35 points, seven rebounds and five assists for the Raptors, who decided to rest all-star Kawhi Leonard and paid for it. Pascal Siakam had 21 points, nine rebounds and five assists, while OG Anunoby and Marc Gasol added 13 points apiece. Leonard has now missed 18 games this season. Pistons reserve centre Zaza Pachulia was ejected late in the third quarter for arguing with the officials. Also, rookie Landry Shamet scored 21 points, Danilo Gallinari added 20 and the Los Angeles Clippers routed the New York 128-107, sending the Knicks to their 50th loss of the season. 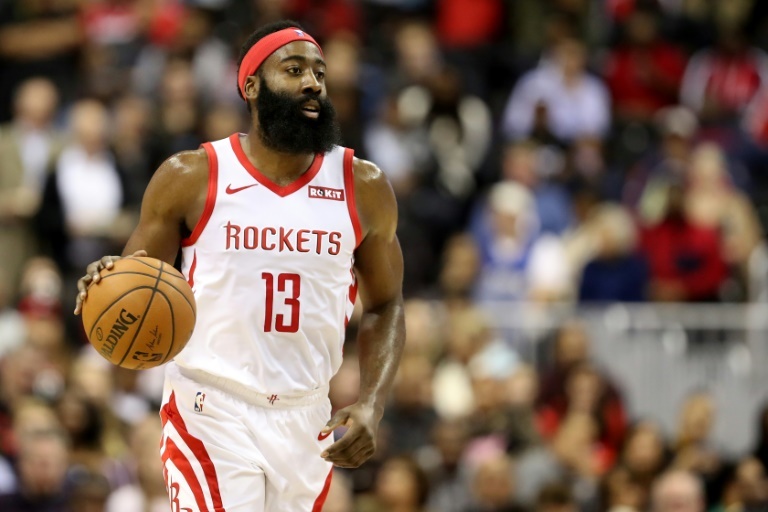 The post Harden powers Rockets to win, Raptors lose in overtime appeared first on Capital Sports. ← Here comes the bride. Emma Bunton is getting married.